Since its early classical days, Freudian psychoanalysis has posited an essential distinction between man and woman. Hypotheses were established that social differences were largely a consequence of anatomical differences. However, in the century since Freud first proposed his theories of human sexuality, many gender-related social roles have proved to be exchangeable and independent of inherited characteristics. In Freud, Women, and Society, J.O. 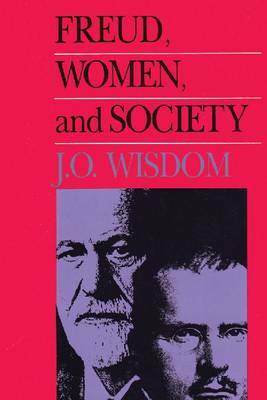 Wisdom provides a thoroughgoing reassessment of Freud's view of the nature of woman and, by extension, what is normally taken for granted-the nature of man. In proposing a new understanding of the relationship between gender and social function, the author lays the groundwork for further explorations in the psychoanalysis of society. Rejecting a doctrinaire or factional approach, Wisdom combines aspects of Freudian and Jungian psychology to define masculinity and femininity in such a way that each contains a component of the other. Human beings in his view are androgynous in varying degrees and relative amounts of masculinity and femininity play an important role in determining individual personality difference and neurosis. Wisdom follows Jung in asserting an essential innerness or "philosophy of the blood" as the dominant force in women's lives. In demonstrating its functional expression in social roles, the author also explains the frequent inability of modern men to adapt to their feminine component This inability is analyzed as a factor in homosexuality and in the attraction of war and violence for many men. Freud, Women, and Society assumes an informed and speculative approach to a subject that is often vulnerable to polemicism and unwarranted claims of scientific veracity. Wisdom's purpose is to look at old facts in a new way and to question assumptions and mythologies about sexuality that have long been taken for granted.